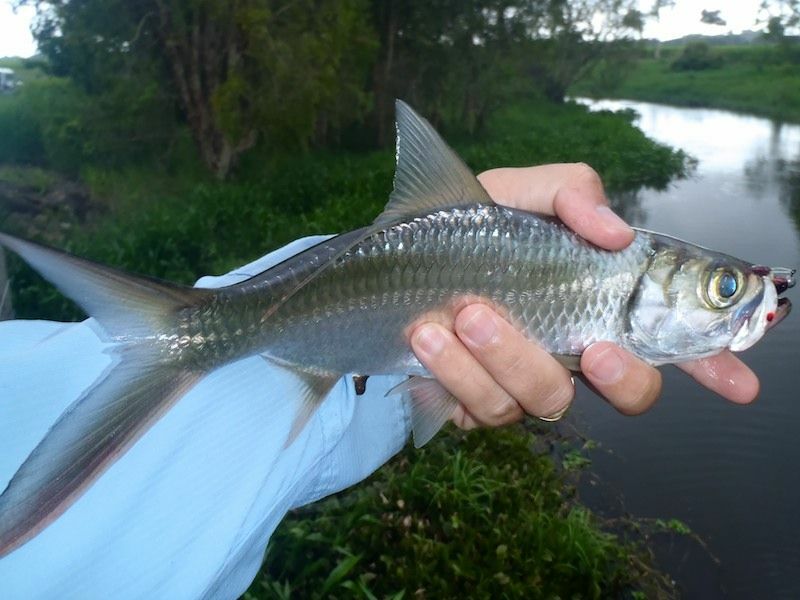 With the wind up and fresh water still running through our creeks (plus massive tides and Barra closed season), the only option at the moment seems to be to chase Tarpon in the freshwater. So thats exactly what Dave and I did Saturday afternoon. I personally wasn't going to fish at all for the weekend, happy to have a break! But a text from Dave convinced me to go for a quick drive with the light gear. 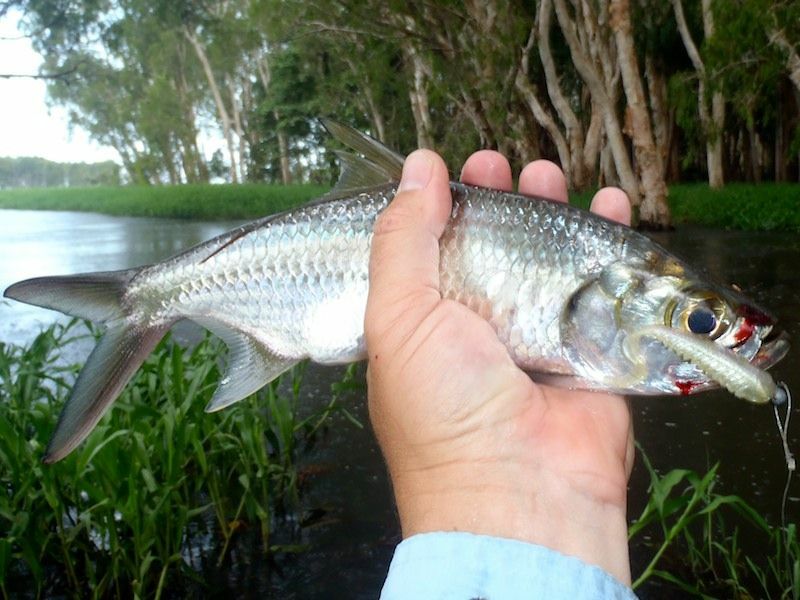 To cut a long story short, we fished several Lagoons and streams to the South of Townsville and found the Tarpon willing in all of them. 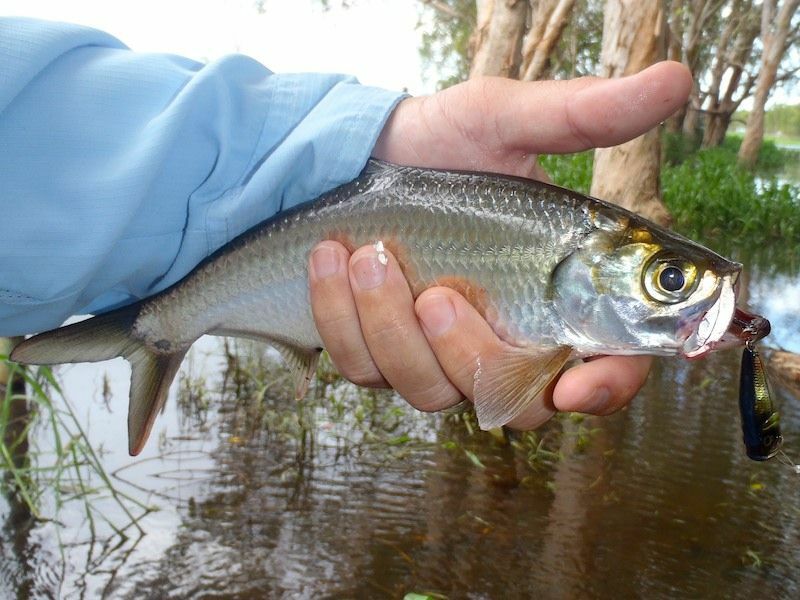 They were only small fish, max about 40cm, and despite being eager to chase and hit a lure they were incredibly difficult to hook up! We managed a few each on both popper and small squidgie wrigglers before a rain squall came through and soaked us to the bone! With any luck the water should be clearing for the opening of the season next week.